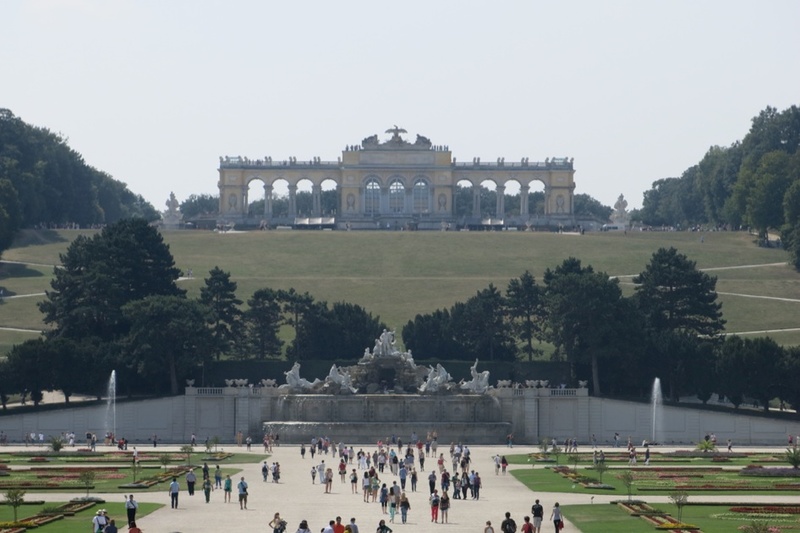 After making our last-minute audible, opting for schnitzel, kuchen and coffee shops in place of the overcrowded, speedo-friendly islands of Croatia’s Dalmation coast, we find ourselves in the heart of Vienna. So basically we swapped wieners for WIEN-ers. 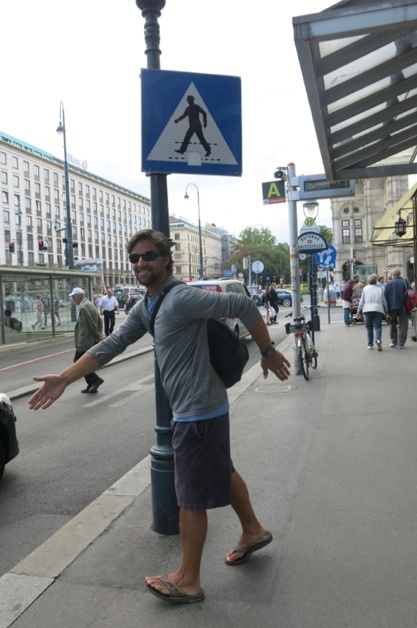 Thanks to an eclectic Slovenian expat with a heart of gold, we spent a little under a week in a cozy, lived-in room in the heart of the city while our host was away volunteering in Ethiopia on holiday. 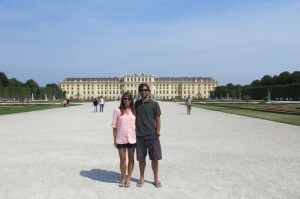 Based in the shadows of St. Stephen’s Cathedral with easy access by foot to all of the major sights, bites and sips, we were confident in our to-do list for Austria’s capitol city. 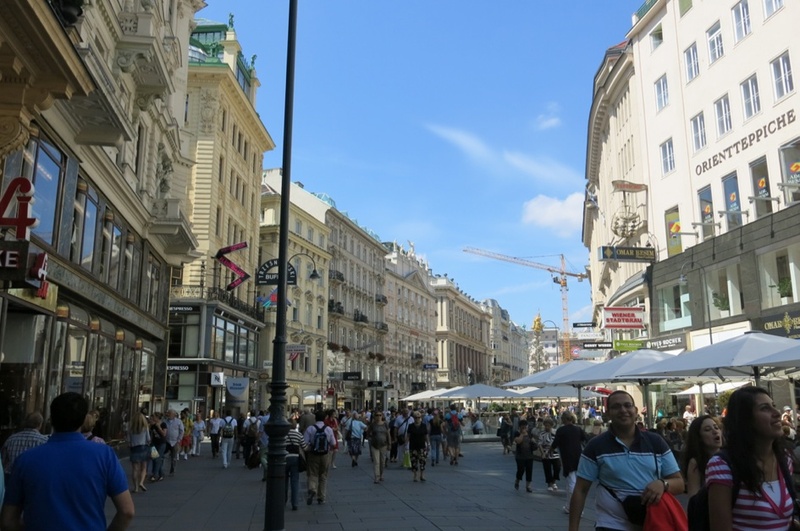 Much like Prague, walking around Vienna fits the image I had in my head of what a historic European city should look and feel like. Neo-everything style buildings in all directions, littered with history and significance around every corner. 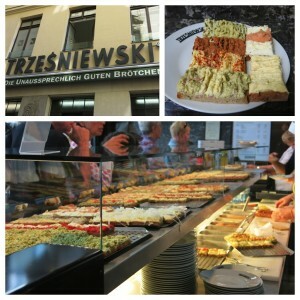 We arrived knowing little-to-no German beyond hello, goodbye, thank you, and schnitzel. We quickly learned “café und kuchen” (much more fun than saying “coffee and cake”), which we sampled anywhere and everywhere, and with that and “schnitzel” (much more on both later), we considered our German sufficient. 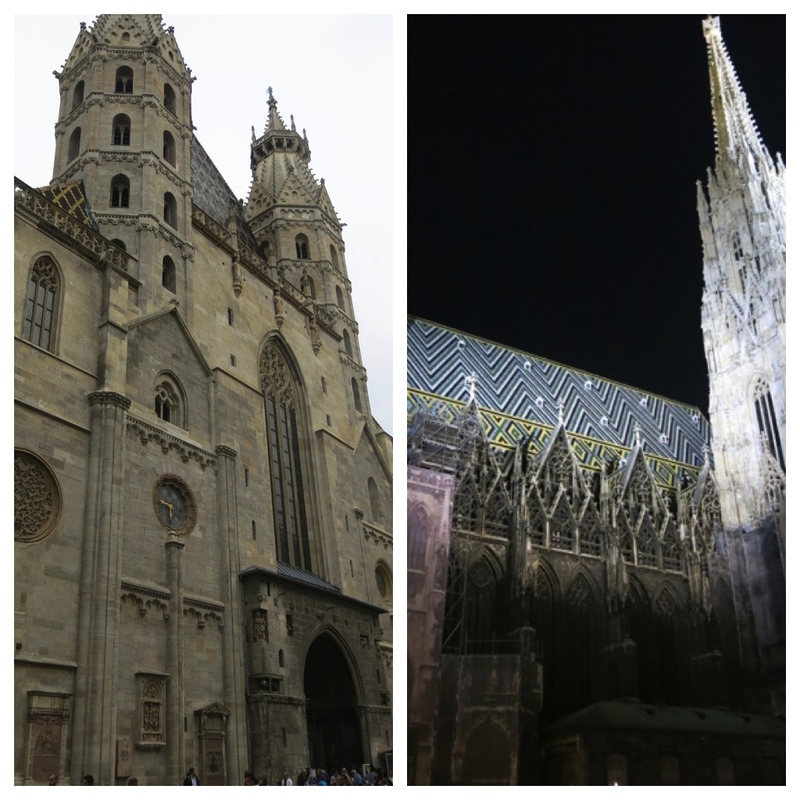 Based on what we had read about Vienna and seen in friends’ pictures from their previous visits, there were three main sites we wanted to check off our must-see list: St. Stephen’s Cathedral, the Naschtmarkt and Schonbrunn Palace. So, naturally, our first stop was that giant cathedral around our corner. St. Stephens is visible from just about everywhere around the city because of the height of its spires, but it’s also impressive from up close. 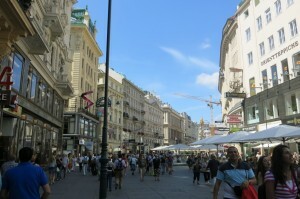 The plaza around it, aptly named Stephensplatz, was buzzing with activity and foot traffic each time we passed through (EDITOR’S NOTE: Think Times Square, minus 300k people, plus cool accents). We haven’t been keen to pay entrance fees for museums or other famous attractions (cathedrals among them) so we were content taking in the view from outside and around. Some of the delicious spreads on display. 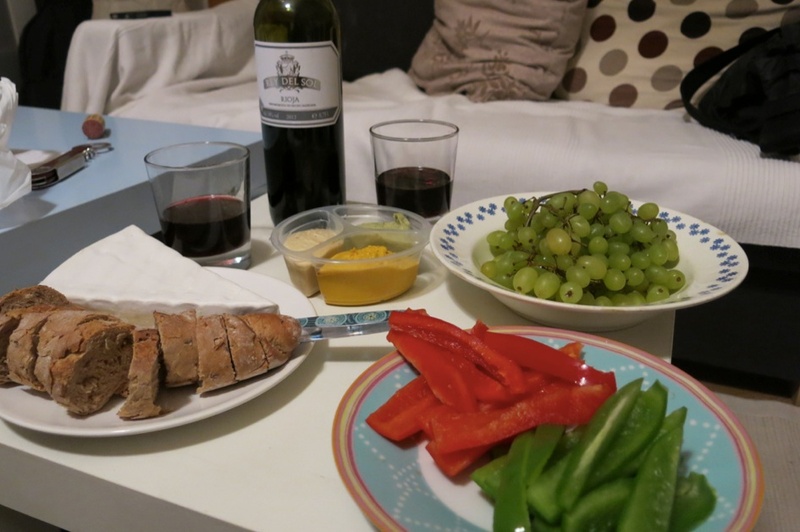 Note that these were not the olives that got us off to a bad start. 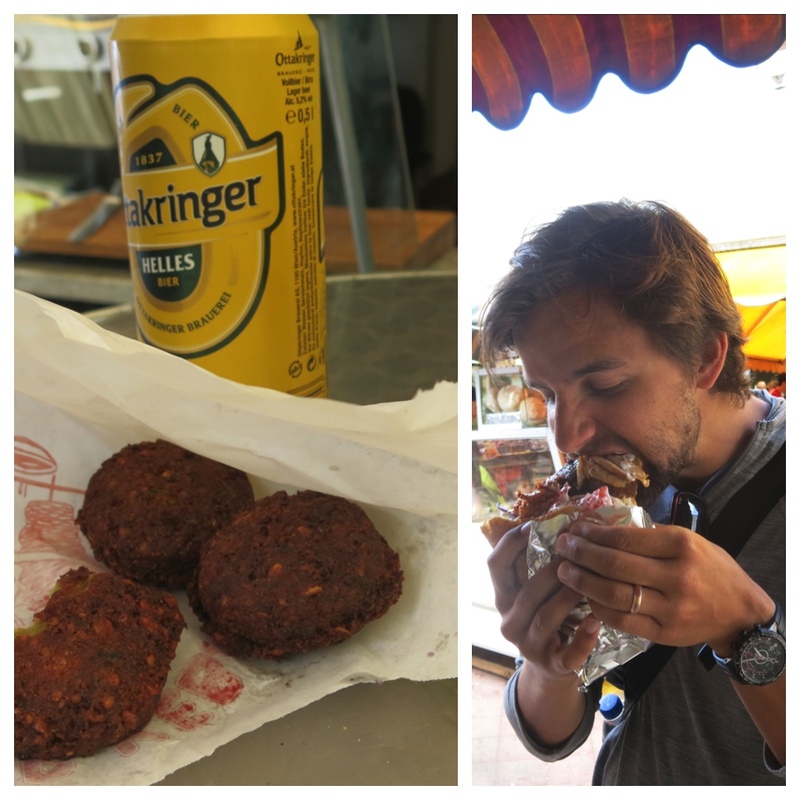 After the small misfire, we rightly indulged in some falafel and kebabs, bought some pita bread and fruit to bring back to the apartment, and washed the days’ spending frustration and food down with some local beers. So all in all, not a bad trip. Washing away the overspending sorrows with beer, falafel and a face full of kebab. 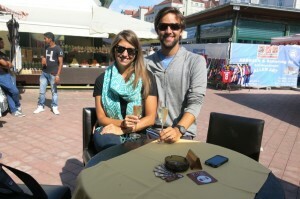 Sipping on some chom-ponnya at Naschtmarkt. A sampling from the haul we left the market with for a quiet dinner at the apartment. 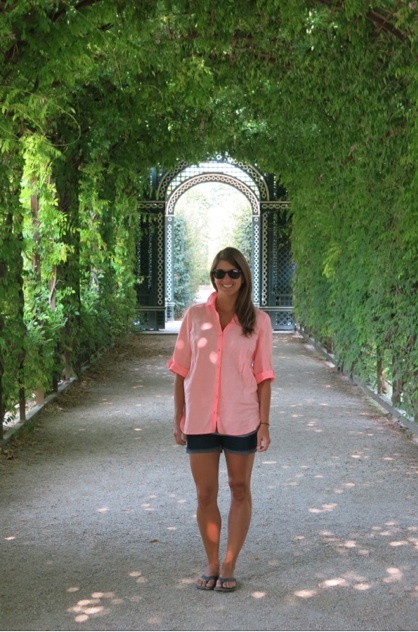 Schonbrunn Palace was a visual delight and gardener’s dream. A beautiful day at Schonbrunn Palace. 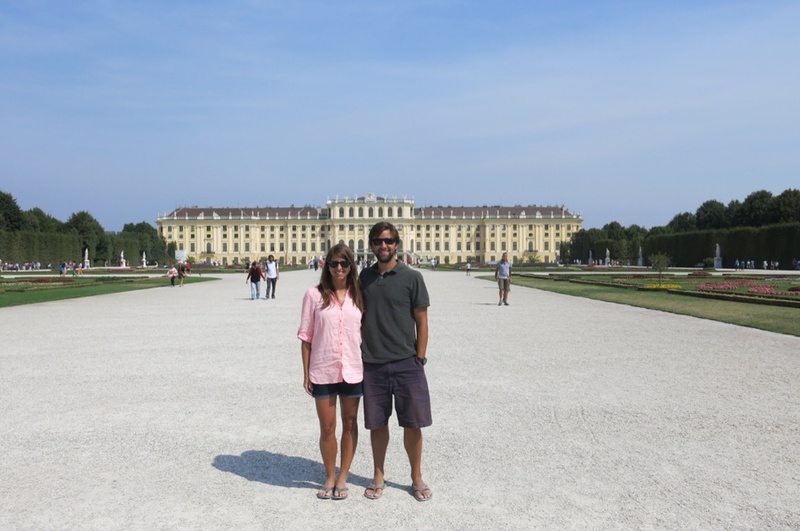 We once again passed on paying admission to go inside to look around and instead spent our time walking around the impressive and extensive gardens surrounding this summer home of the famed Habsburg family. You know, because why wouldn’t you build a 1,441 room palace and designate it as nothing more than your place to get away during the summer? 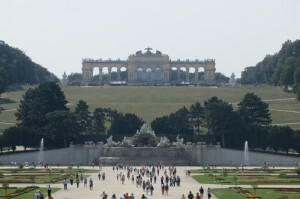 A shot back up the hill from the palace, with a view of the Gloriette. 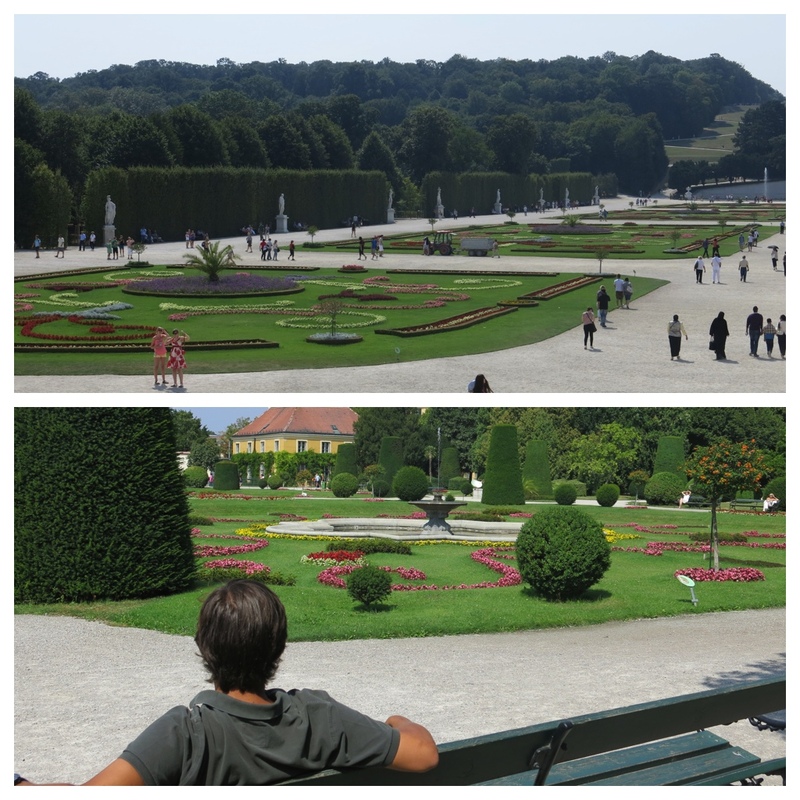 Just a small portion of the Habsburg’s modest backyard. Palace princess under a covered walkway in the gardens. 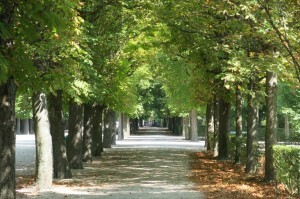 One of the many picturesque walkways around the gardens. So enough about the sites. We love us some eats and drinks, and Vienna is known for some of both. 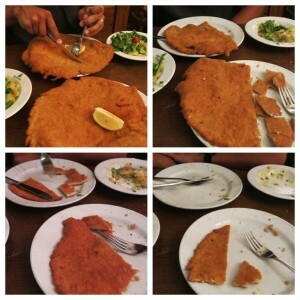 We begin with the signature dish – Weiner Schnitzel. As much my inner 12-year old was hoping the name had no particular rhyme or reason beyond providing easy humor (huh huh… it says weiner… huh huh…), it turns out there’s a logical reason for the name. 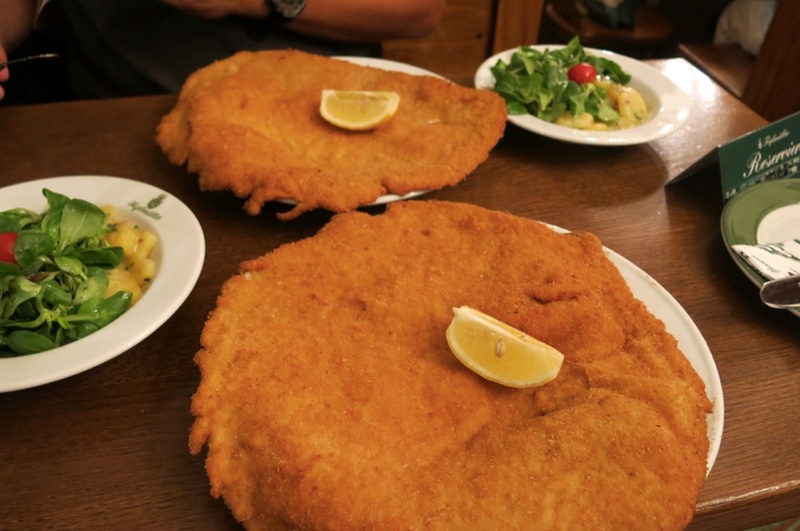 Vienna goes by Wien locally, so it’s basically just saying that it’s schnitzel from Vienna. I’m sure many of you reading this had already put this together, but this guy had not. 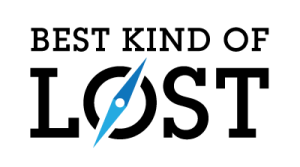 Pathetic jokes aside, there’s a reason it was named after this city – they do it right. 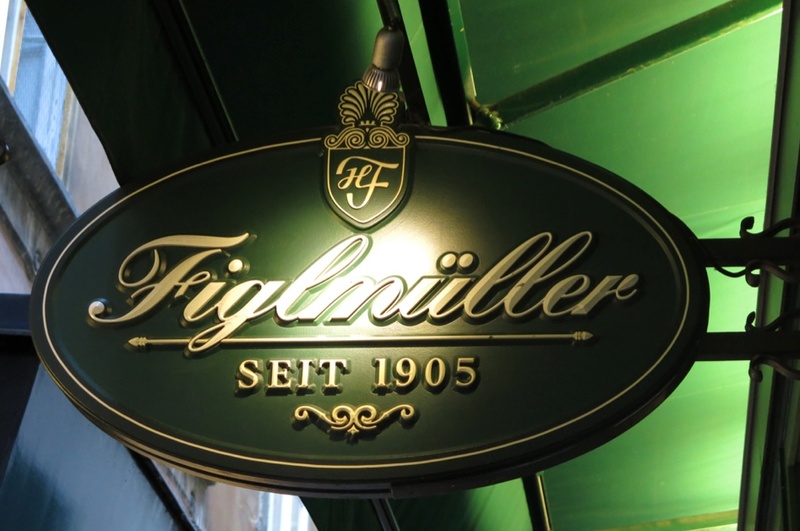 And the place to get it – Figlmuller – just so happened to be a 2 minute walk from our apartment. Sure, you can say that breaded veal is breaded veal anywhere. But you would be mistaken. 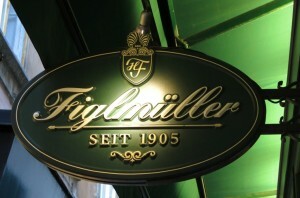 We had it again soon after leaving Vienna, and nothing matched the deliciousness on a plate that Figlmuller brought us. Just look at these monsters. 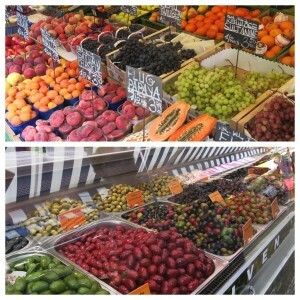 Austria also is known for its pumpkin seed oil, or at least some parts of the country are. Who knew? So we paired our schnitzel with some potato salad dressed in pumpkin seed oil. The zin to our schnitzel zang, if you will (and it’s fine if you won’t, I understand). 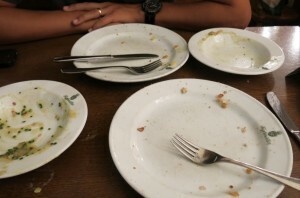 After the food was served, this happened. Fast. These were taken over the course of no more than 7 minutes. We may or may not have gone here twice. But when we weren’t eating and/or dreaming about Figlmuller, we found our way around some of the famed coffee shops in the city to try out some mélanges (a fancy way of saying coffee with steamed milk) and the always fun-to-say combo of “café und kuchen,” or coffee and cake. 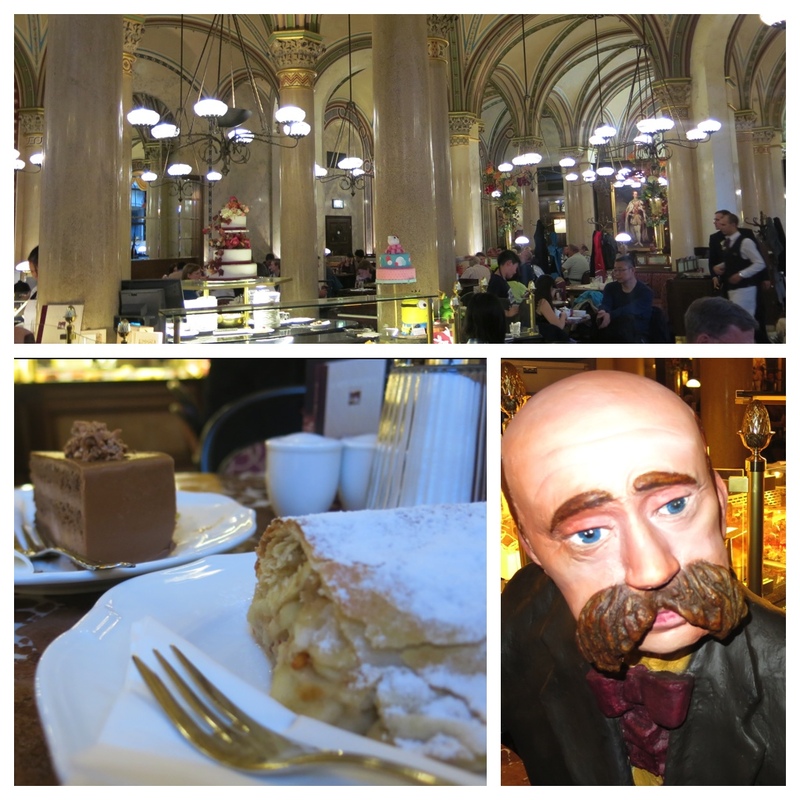 Cafe Central, complete with classy pillars, delicious kuchen and this friendly mustache-flaunting statue that greets you upon entering. 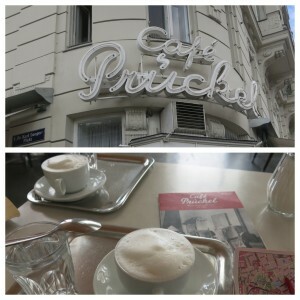 My favorite for the coffee and the cake was definitely Café Central. The place boasts that it has been around since the 1800’s and has had a notable crowd of regulars over the years. If you stumbled in for some caffeine in 1913 for instance, there was a decent chance you could listen to Sigmund Freud talk psychology, Adolf Hitler spit nonsense, and Vladimir Lenin and Leon Trotzky discuss a Russian revolution. As for us during our multiple visits to Café Central, we didn’t talk about much other than the spread of kuchen in the place, and mowed through the apfelstreudel, chocolate truffle cake, peanut brittle cake and a couple other slices of heaven that they serve. 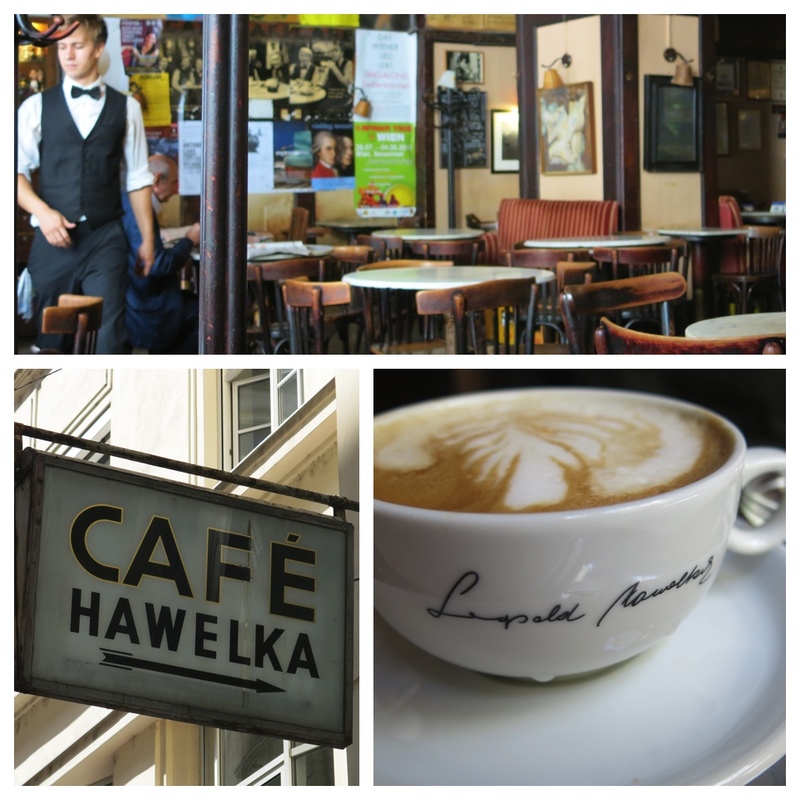 We also checked out a couple less crowded, but equally renowned (by those who write on the internets at least) spots such as Café Hawelka, Café Demel and Café Pruckel. All kucken, no coffee at Cafe Demel. 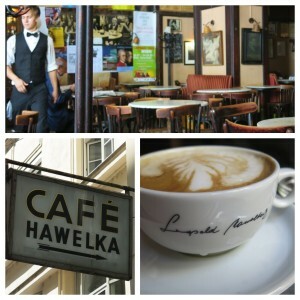 Caffeine break at Cafe Hawelka. Fine. This wasn’t cake. But delicious and bite sized it was. Selecting toasts topped with ingredients like egg, salmon, tomato, bacon and pepper made for a easy lunch. So in conclusion, we saw, we experienced, we ate, we drank and we enjoyed. 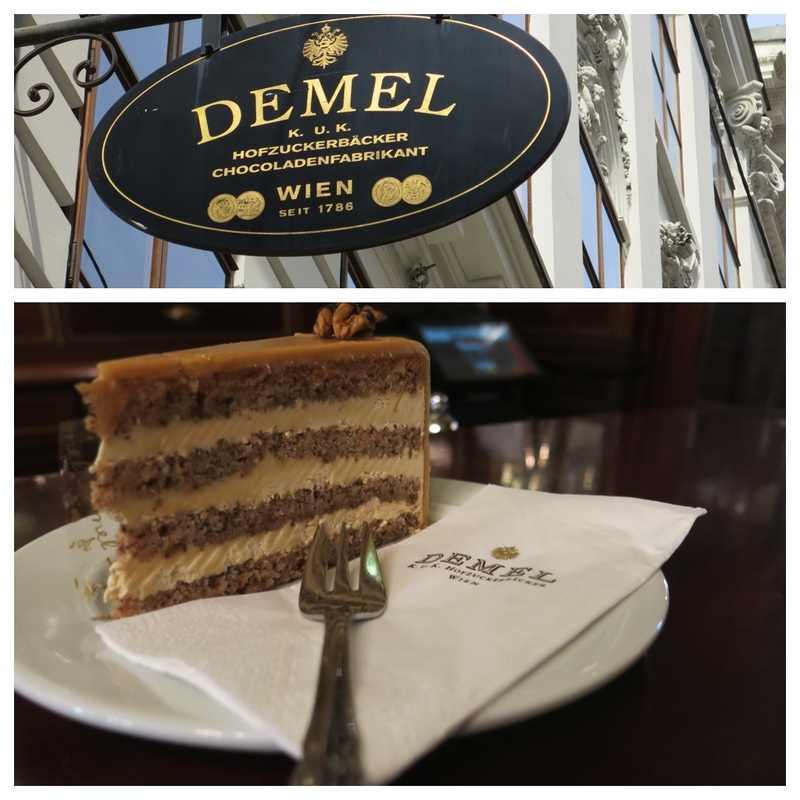 But one last experience that my lovely wife discovered for a quiet night to complete our stay provided the icing on the cake kuchen. 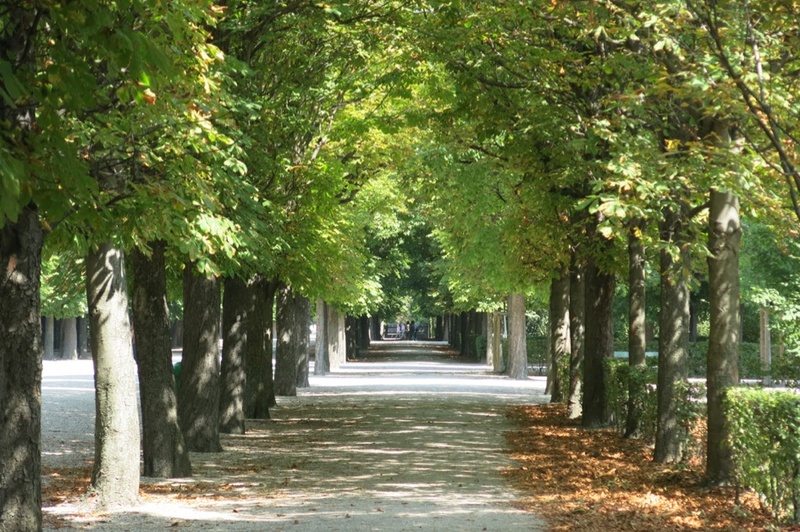 Just down the Ringstrasse (the main road that circles the heart of Vienna, and as we discovered, provides a perfect morning running route) from the famed Vienna Opera House is a charming little movie theatre named Burg Kino. 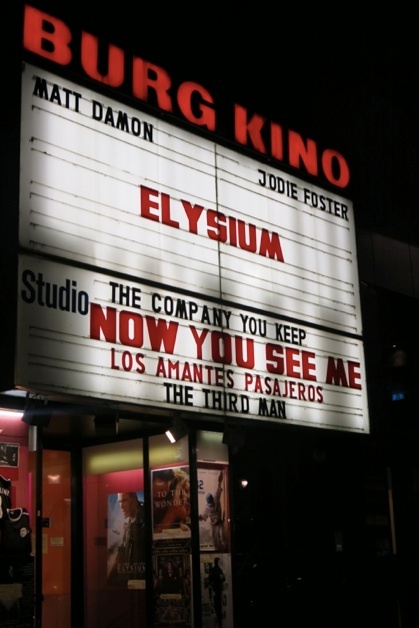 And in addition to the current movies they show and promote on the large posters outside (I see you, Matt Damon) twice a week they show an old Orson Wells movie named “The Third Man.” The movie is based in Vienna and is set just after World War II. We don’t pretend to be classic movie buffs, but we were intrigued. We walked in to find the theatre to ourselves after getting tickets. How much were the tickets you ask? I don’t remember exactly. What I do remember is that we got a discount because… wait for it… we’re unemployed. No joke. 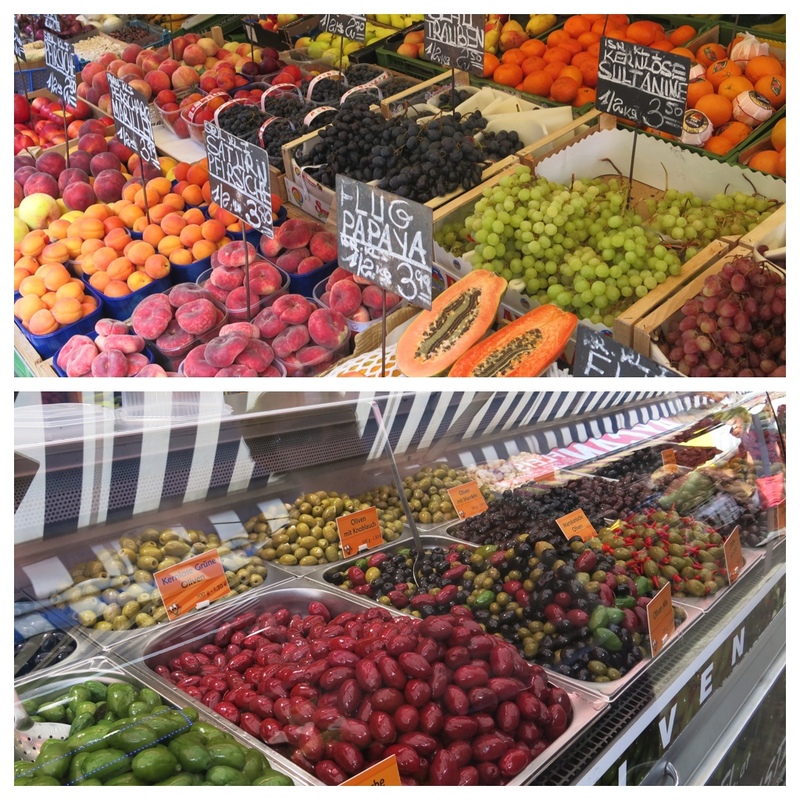 The friendly faces behind the counter have a soft spot for those fresh out of work. I’m sure there are many other visitors who are unemployed by circumstance, rather than by choice like we are, but nonetheless we were pretty excited about it. (EDITOR’S NOTE: Look, ma! Told you there’d be a payoff!) 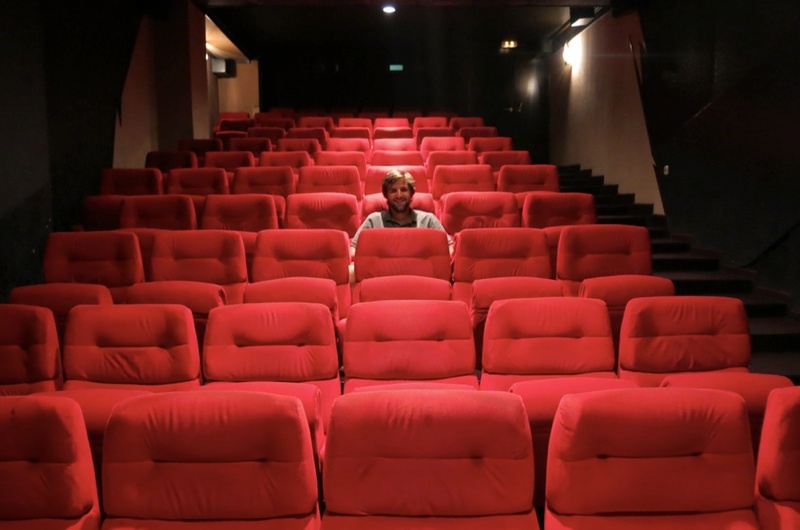 Shortly after we sat down, the lights dimmed and the black and white film projected in front of us (no previews for the old-timers), making for a cozy old-fashioned date night to wrap a bow on our time in this charming and underrated city. With little time to plan beforehand, I left feeling like we had seen and done just about everything we’d hope to in five days. We had planned following up Vienna with a couple nights in the quaint mountain town of Hallstatt a few hours west, (EDITOR’S NOTE: In full disclosure, the jaunt to the Austrian countryside had more to do with my vision of spinning in circles, arms raised, belting, “…the HILLS are ALIIIIIIVE” versus any actual historical merit.) however after getting the run-around from a guesthouse we thought we had a room reserved in (pretty sure I called “no take-backs” when she offered our room, but we got the silent treatment from the manager after a follow-up email and phone call to confirm the booking… so that was fun) we decided to maintain our August theme of spontaneous itinerary changes and shifted our focus eastward and booked a train to Budapest.